From the creators of BabyLit®: Every area of the world can be mapped out for adventure, and brilliant babies love the sophistication of traveling by train. This new board book series written by the husband and wife team of Haily and Kevin Meyers and illustrated by Haily, celebrates the unique qualities of each city while employing a fun primer element to tell the story. These books will have you and baby seeing the world by train and will turn story time into a globetrotting event. Perfect as a souvenir or as part of a geography collection for brilliant babies, the All Aboard! series will be pulling into your station next! A silly tale of a night in a camper gone awry. I found it interesting that the first half of the book is just a cute story about a man and his dog enjoying a campout together in the beauty of nature. It's only half-way through the book, after Mr. Magee and his dog Dee have gone to bed, the tone of the book changes and the comedy begins. A fun counting book perfect for beginning readers. In a small backyard, by a squat stone fence, five little ducks pitch five duck tents. The five little ducks are going camping! They can't wait for a day of fun at the fishing hole. In the evening they sit around the campfire and toast marshmallows. But just as they're about to snuggle up tight and drift off to sleep, they hear a scary noise. Whooo can it be? Uncomfortable with the idea of camping outdoors, Scaredy Squirrel engages in a camping venture on his couch away from mosquitoes, skunks and zippers and hopes to watch a camping show on his new television, which requires him to hunt for an electrical outlet in the woods. The moon and stars set imagination aglow as Oliver the bear and Hope the butterfly join their friends Millie the barn owl and Chewie the English bulldog for their first camping trip. The night is filled with amazing discoveries and silly games that make the shadows a little less scary and the adventure a whole lot more fun. Take a seat with these friends around the campfire. This much-anticipated follow-up to the award-winning Oliver & Hope's Amusing Adventure helps the real-life journey of thousands of children through its inspiring tale and the medical grants the book's proceeds support. Watch many of these success stories come to life and learn how you can make more possible when you visit UHCCF.org. While on her first hiking and camping trip, thirteen-year-old Sammy tries to solve a mystery involving endangered condors while avoiding scorpions, ticks, and embarrassment. To help commemorate the one hundredth anniversary of the National Park Service, #1 New York Times bestselling authors former First Lady Laura Bush and her daughter Jenna Bush Hager have created an exuberant picture book tribute to our national parks and the importance and fun of connecting with nature. Our Great Big Backyard follows Jane, whose plans of spending the summer playing video games with her friends are dashed when her parents announce that her family is going on a road trip to national parks around the country. Yet somewhere between the Everglades and Big Bend National Park, things begin to change. Jane starts paying attention to the magnificent sights and spends less time looking at her screen. The stunning views open up her imagination as she and her brother see everything that nature has to offer. And the more Jane discovers, the more she realizes how much there is to love about the outdoors—whether she’s in a national park across the country or right in her own backyard. Good Night Campsite features camping, cooking, tents, RVs, lakes, mountains, rivers, trees, ducks, frogs, chipmunks, biking, picnics, hiking, autumn leaves, campfires, fireflies, sleeping bags, and more. Grab your duffel bags, it’s time to head to the campsite. This charming board book takes young readers on an outing to their favorite campsites while indulging in all their favorite outdoor activities. Roasted marshmallows included! This book is part of the bestselling Good Night Our World series, which includes hundreds of titles exploring iconic locations and exciting themes. Follow the tracks of ten woodland animals but . . . uh-oh . . . watch out for the skunk! Children learn the ways of forest animals to the rhythm of "Over in the Meadow" as they leap like a squirrel, dunk like a raccoon, and pounce like a fox. They will also count the babies and search for ten hidden forest animals. Cut paper illustrations add to the fun in this delightful introduction to a woodland habitat. Gray squirrels leap from high heights to move from tree to tree. Discover these delightful rodents' life cycle and lifestyle in the woods. Curious toddlers and preschoolers will learn fun facts in this Smithsonian Kids book about forest creatures including deer, bears, beavers, foxes, rabbits, birds, and many more. Every page features an engaging "spinning wheel" that when turned by your little one builds fine motor skills and introduces additional forest plants and animals in the viewing window. 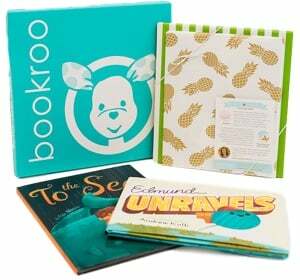 The sturdy board pages and built-in handle are just right for little hands, and the beautiful, detailed illustrations will engage, entertain, and educate your little one. Explore up in the trees and underground. Learn fun facts and new vocabulary words. Discover where animals make their homes. Knowledge helps kids shine! "Ever been stuck with a friend who’s totally uncool—and worried that it will rub off on you? Welcome to Camp Wildwood! It’s Dragon’s first day, and his buddy would LIKE to show him a good time. But Dragon doesn’t seem to fit in with the boys and girls. He overturns the boat, ruins the puppet show, and even sets the tent on fire. Then, just as his buddy is about to give up, Dragon comes through in a pinch. This sweet, funny picture book teaches an important lesson about the true meaning of friendship—and in accepting the strengths and weaknesses of others." "Introduces camping from A to Z using poetry, prose, and illustrations in a children's picture book. Includes information on beach camping, canyons, foliage, camping gear, John Muir, Juliette Gordon Low, and more"--Provided by publisher. Nine-year-old Emma O'Fallon finds herself in increasing difficulties at home and at school as her determined efforts to break up the growing attachment between Annie, the Irish nanny, and Bo, her boyfriend, cause chaos on a family camping trip and Emma'srelationship with her best friend Luisa seems to be going from bad to worse. A camp-out trip is almost spoiled by loud music and the disappearance of a lantern--and Grandfather. A park ranger and a bear face off in a battle of signs as they each try to get treats from visiting campers. Fifth-grader Piper and her sisters are thrilled about their first-ever camping trip until they learn it will be at Halloween, but other Navy families join them, including an annoying new member of the Gypsy Club.